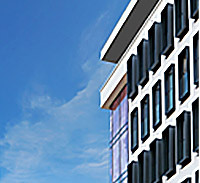 The The Mercure Hotel Stuttgart-Böblingen in the beautiful Böblingen City offers 116 modern rooms. Six meeting rooms are available, for events and family celebrations with up to 275 people. The 4-star hotel offers leisure facilities such as an outdoor pool with gardens and a volleyball court. Parking is available directly at the hotel. 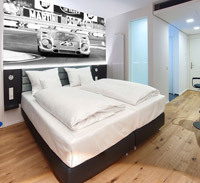 Modern business hotel in the heart of the industrial estate Böblingen-Hulb. Major companies, such as Hewlett-Packard, IBM, Daimler Chrysler and others, are only 5 minutes away from the hotel. 66 bright and comfortably furnished standard rooms with shower, WC, desk, direct-dial phone, satellite and pay TV, radio, some with kitchen units. Free sauna and underground car park. 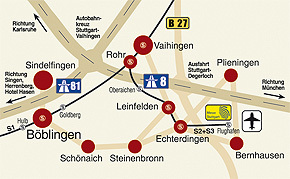 Fast and direct connection to Messe Stuttgart. 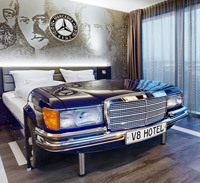 With 16 new V8 themed rooms, 130 V6 design double rooms, seven spacious V10 extended stay apartments, meeting rooms, a fitness and wellness area with a view and panoramic sauna and our restaurant PICK-UP with the V8 BAR. Numerous automotive arrangements can be found on our website. In the immediate vicinity of the city park, next to the congress hall, cozy bed & breakfast in a central location with 34 rooms, apartments and suites. Hotel bar, breakfast buffet, parking spaces, elevator. Central location in the old town, comfortable, pleasant rooms and apartments, WLAN high-speed internet access in the rooms, non-smoking rooms, partly with air conditioning and king-size beds, free parking spaces, ample, fresh breakfast buffet. We do everything to make you feel at home. "Be at home" - that is our philosophy. Immerse yourself in the warm and personal atmosphere of our family-run hotel. Within our service range we provide the whole spectrum - from individual hospitality to catering for businesses, fully tailored to your wishes. Come in and relax - we will do everything to make you feel at home. Modern, centrally located hotel with 32 rooms. Conservatory suite, junior suites, non-smoking rooms, rooms with kitchenette. Lavish breakfast buffet, Internet, express laundry, room service, free underground car park. The city park, congress hall, thermal baths and shopping mall are only a few minutes away. run by TV chef Timo Böckle. Oil vitality room, wellness room, "cuddle" room, business and quiet rooms, breakfast at the wild herb garden, including minibar, pillow bar, cosmetic bar, WLAN. Heartfelt Swabian warmth and Swabian "all-round service". 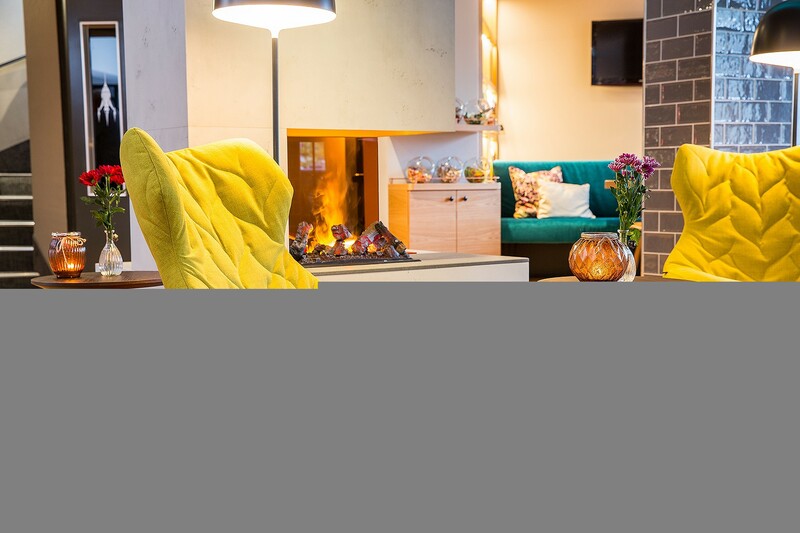 Cozy bed & breakfast in a central yet quiet location in Böblingen. Convenient single and double rooms as well as apartments with kitchenette. Ample breakfast buffet. Parking spaces directly at the hotel. With 25 rooms located at the edge of the forest, 5 min. away from Böblingen and Schönaich, rooms with kitchenette, non-smoking rooms, free WLAN. Panorama restaurant, historic vaulted cellar, renowned for fine cuisine, annex room for events with up to 50 people, summer garden, bowling alleys, large car park at the hotel. Privately run middle class hotel with 34 rooms offering a personal atmosphere. Centrally located, 500 meters from highway A 81 exit, in close proximity to outdoor swimming pool and thermal bath. It offers modernly furnished rooms, partly equipped with renovated bathrooms and air-conditioning. All rooms provide free Wi-Fi, satellite TV, telephone, minibar.